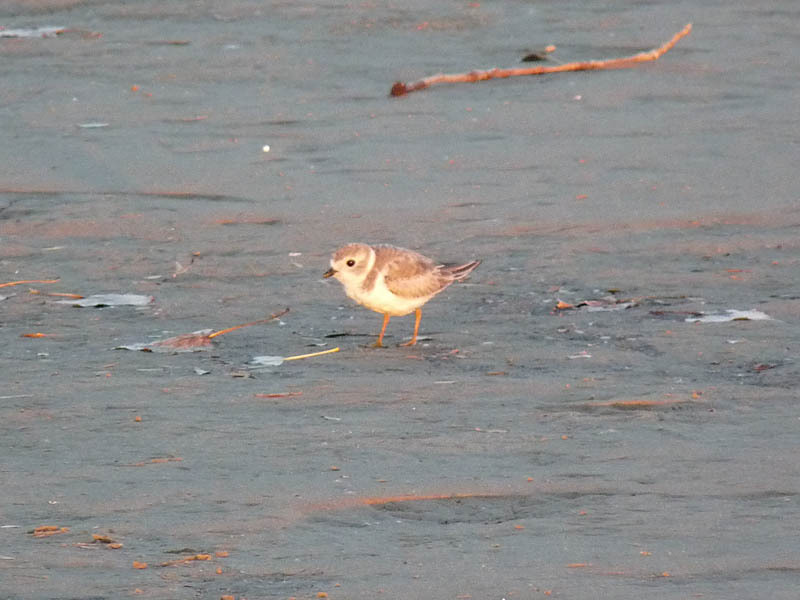 The long-staying Piping Plover was still at Montrose Beach on November 22. This is now the latest Piping Plover record for Illinois, the previous late record being November 21 from Mendota in 1982. Most of November has been unusually cold in Chicago, with high temperatures in the 30s and nighttime lows even colder for the last couple weeks. It makes you wonder what the bird has been eating – invertebrate activity must be seriously depressed in such cold conditions. This bird also survived at least one close encounter with a Cooper’s Hawk. We’ll see how long it holds on. Link to my eBird checklist below. 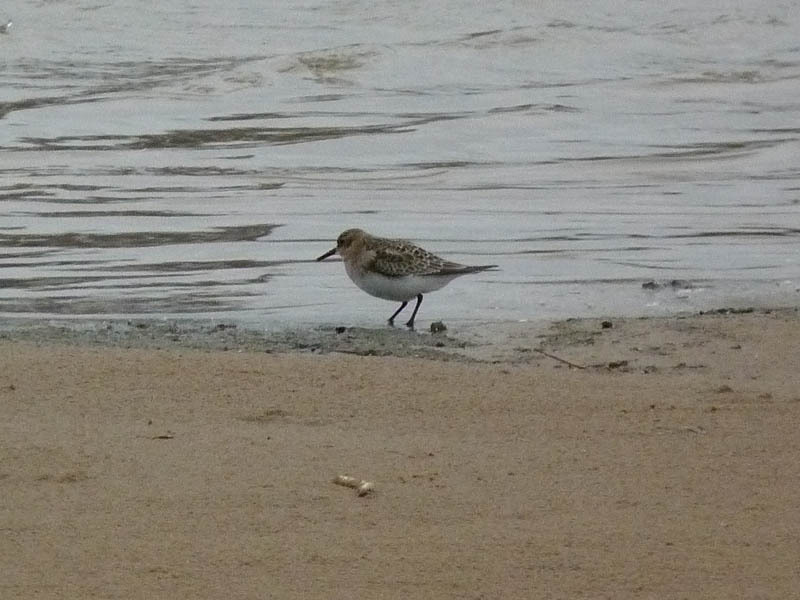 This entry was posted in Fall Bird Reports and tagged Piping Plover, Shorebirds on November 22, 2018 by rhughes. I wasn’t even going to bird this morning (November 4) because of rain in the forecast, but when I looked out my window at 7:30 I saw no rain, so I grabbed my gear and headed over to Montrose. I tallied a whopping 20 species for my effort, unimpressive even by early November standards. 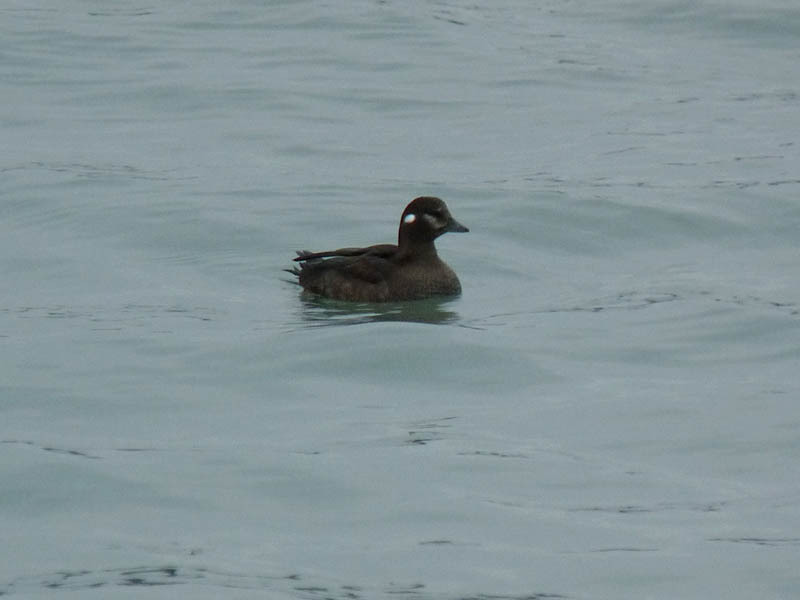 But, BUT, 25% of that tally consisted of good birds – Harlequin Duck (off the end of the fishing pier, found by Krzysztof Kurlyowicz), Black Scoter (2 flybys, found by Steve Huggins), Red-necked Grebe (flyby), Piping Plover, and Baird’s Sandpiper. The Baird’s (2 juveniles) represent one of the latest records of this species for Montrose, continuing the trend for late birds started by the Piping Plover. It’s hard to go wrong in November. Link to my eBird checklist for the day below. This entry was posted in Fall Bird Reports and tagged Baird's Sandpiper, Best Fall Migration Days, Black Scoter, Grebes, Harlequin Duck, Piping Plover, Red-necked Grebe, Shorebirds, Waterfowl on November 5, 2018 by rhughes. When you think of November and the Chicago lakefront, birds like Black-legged Kittiwake, Purple Sandpiper, Harlequin Duck, and Red-throated Loon come to mind, but today’s highlights at Montrose include 2 species that shouldn’t be anywhere near northern Illinois at this time of the year. 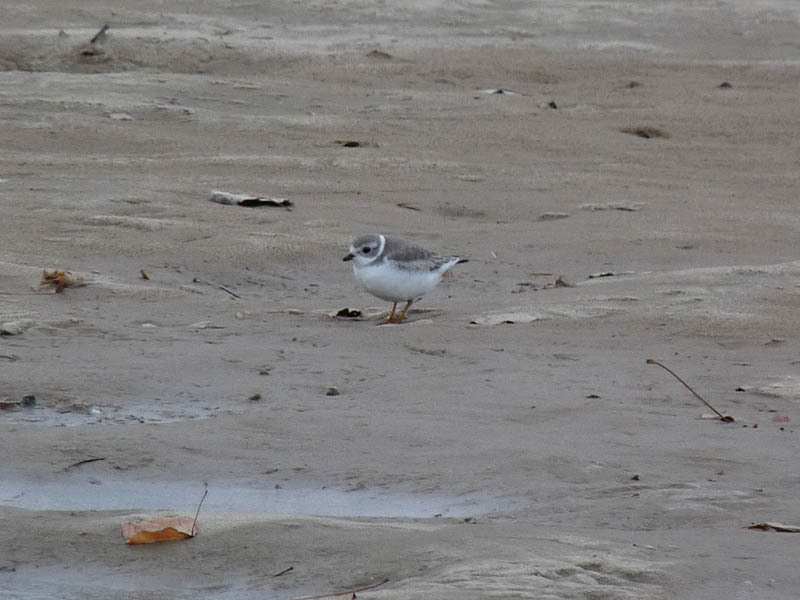 The Piping Plover found in mid-October was still on the beach. This bird has been present for 2 weeks and doesn’t appear to have any intention of leaving. I’m guessing that 98% of the world’s Piping Plovers are on their wintering grounds now, making this one of the latest Piping Plover records for Illinois. 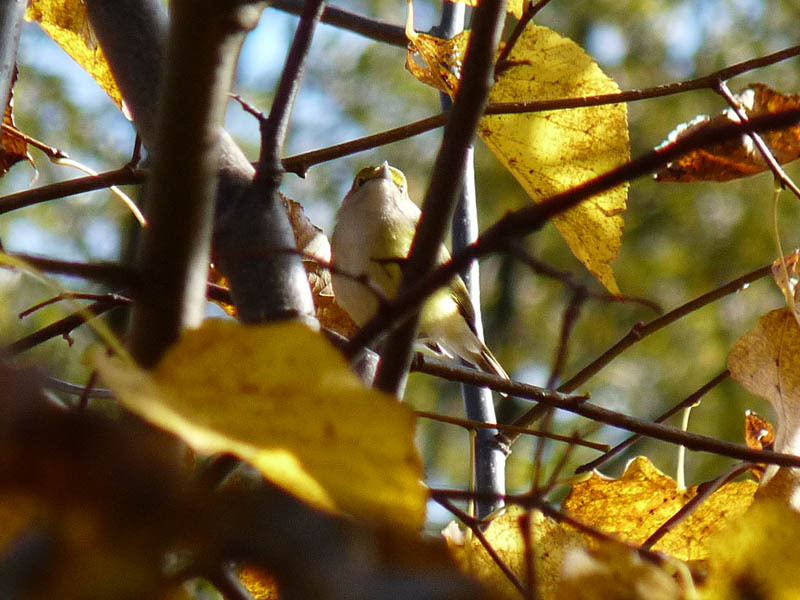 The other late bird was a White-eyed Vireo (found by Jeff Bilsky). This is the latest White-eyed Vireo for Montrose I know of and one of just a handful of fall records for us (White-eyed Vireos are more or less regular in spring). Link to my eBird checklist for the day below. This entry was posted in Fall Bird Reports and tagged Piping Plover, Shorebirds, Vireos, White-eyed Vireo on November 3, 2018 by rhughes. 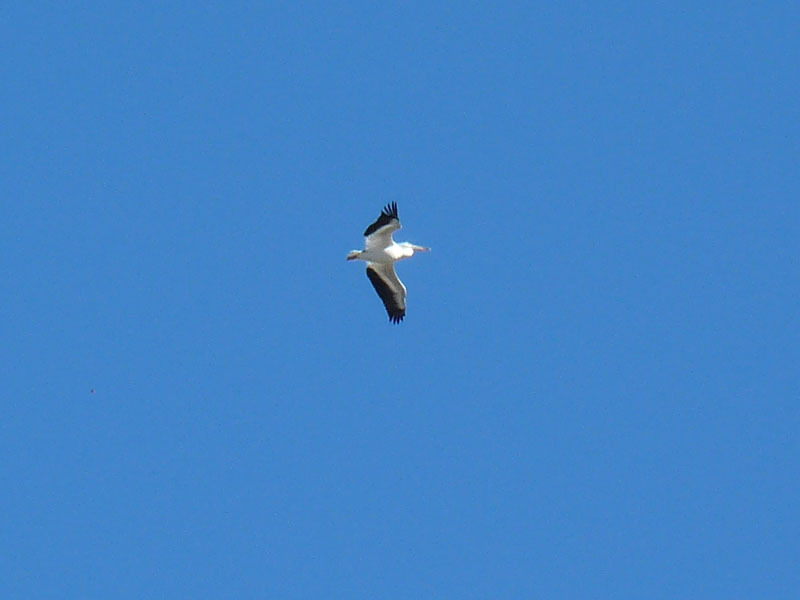 Hardly rare in Illinois these days but still unusual along the Chicago lakefront, this American White Pelican flew over Montrose Point on October 21. I’ve only seen a handful of American White Pelicans at Montrose in my 40+ years birding there, so this was exciting. Sometimes when you look up you see good things. This entry was posted in Fall Bird Reports and tagged American White Pelican on October 21, 2018 by rhughes.